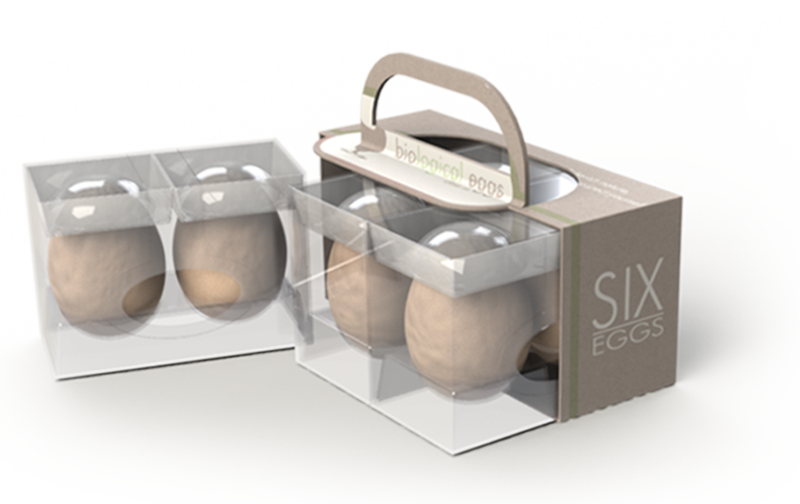 As part of a master course on packaging by dr. eng’r R. ten Klooster, I created this innovative egg packaging design as a viable alternative to the monocoque paper pulp egg box. Packaging aims to protect and preserve the product, but it also serves as a means to distinguish from the competition. The latter can be achieved through clever design, something that caters to the specific wishes of the target group. 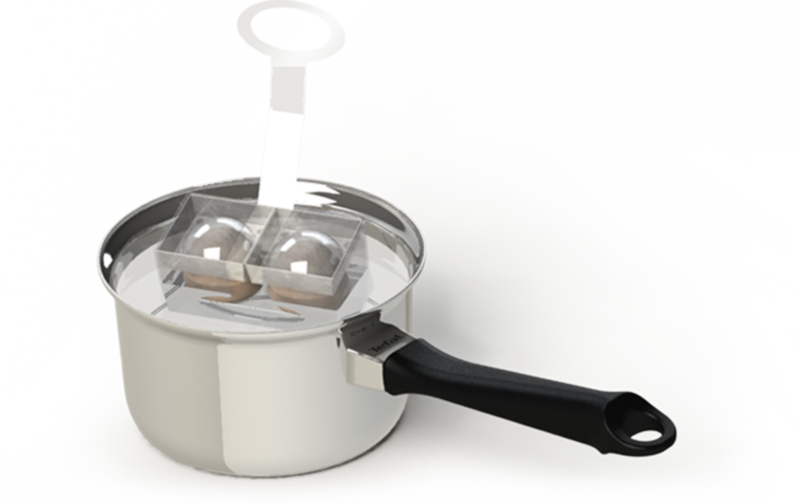 A combination of a smart lay-out on a single sheet of polypropylene together with snap fits creates an easy-to-open modular container for two eggs. 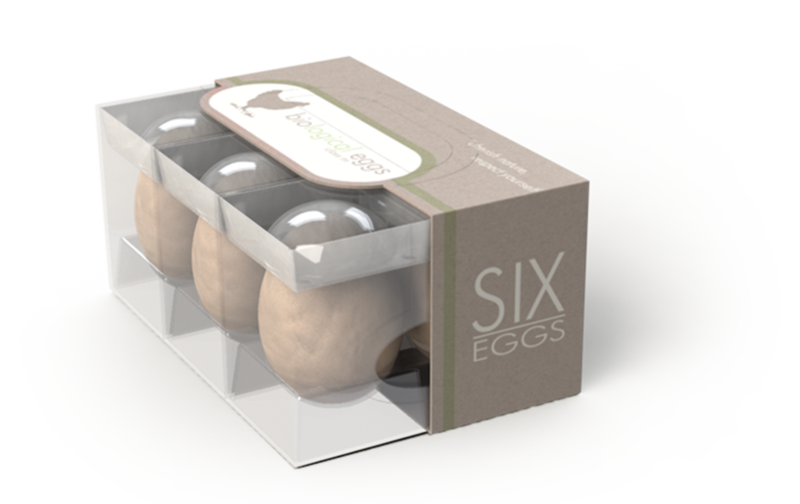 The featured egg packaging design protects the product very well, offers the consumer a clear view of the product, aids in the preparation process of the product and is entirely recyclable with a cradle-to-cradle approach. 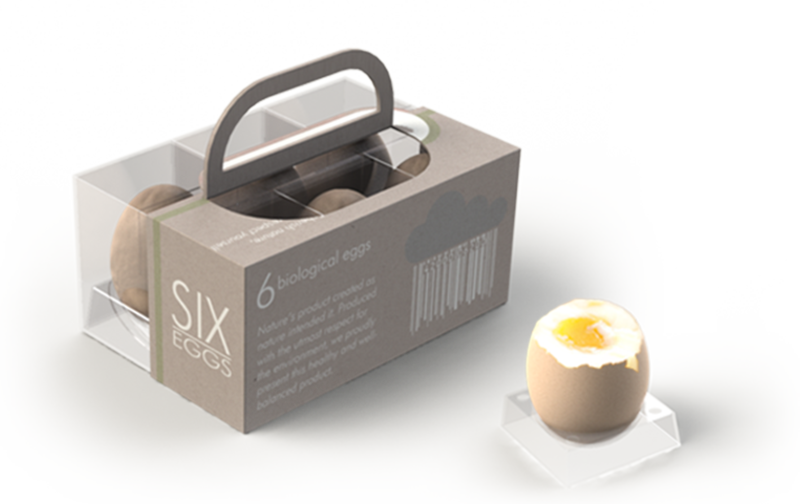 The product’s modularity makes it appealing to the producer too: the eggs are packaged per two and can be joined together with the low-cost and easy to customise boxboard packaging. At the cost of a mere 1 cent in total per egg, this packaging can compete with any current egg packaging design.